Vishvesham: A visit to Kasi Viswanathar ensures liberation. This is located at the Benares Hindu University. Lord Shiva declared this spot as his Royal residence. Goddess Parvati's mother felt ashamed that her son-in-law had no decent dwelling. To please Parvati, Shiva asked Nikumbha to provide him with a dwelling place at Kasi. A temple was constructed here and the pleased Lord granted boons to all his devotees. Divodas constructed the temple but when they hadn't been blessed with a son he got angry and demolished the structure. Nikumbha cursed that the area be devoid of people. After the place emptied, Lord Shiva once again took residence here permanently. Once again Shiva granted blesings and Parvati offered food to one and all. 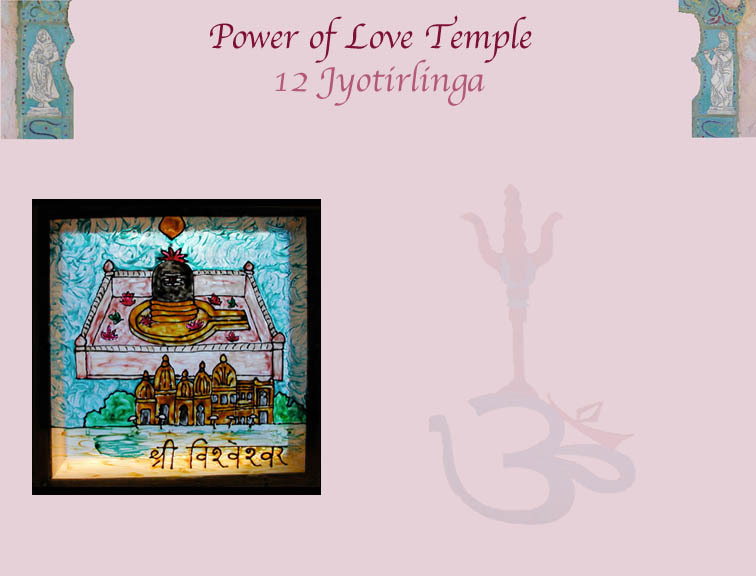 The Shiva lingam is placed in a square shaped brass-plated pit and devotees themselves are permitted to offer worship such as bath with holy ganga water, garlanding the Lord, aarti, etc.